So it’s springtime. Allegedly. Can’t verify that for you right now, I’m too busy scraping ice off of my windshield. 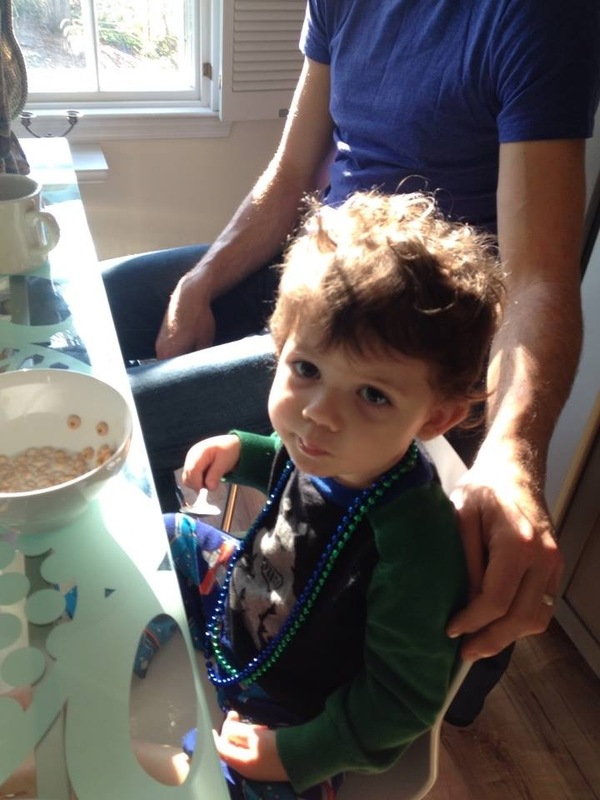 Or at least I was this morning… Sheesh! This should be the time to make chilled soups and bright, minty salads dotted with neon green peas! Instead, I find myself craving warmth, spice, and honestly, detoxification, thanks to an overzealous Friday night with friends (who are totally worth celebrating- hello, ladies). 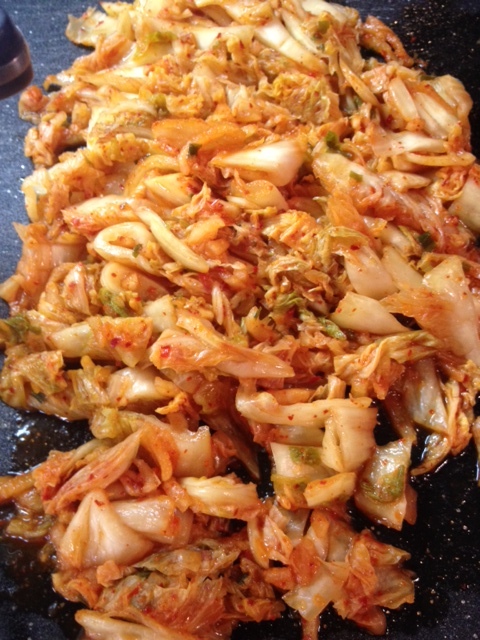 So I suppose that will be my spring theme for this delectable Korean-inspired recipe: renewal! What a delicious way to get the good bugs in our systems- by EATING! If kimchi’s not your style you can nosh on sauerkraut, beer (easy, tiger, easy), stinky cheese, dill pickles, yogurt, miso, sourdough bread, and kombucha to make your tummy and immune system happy and healthy. 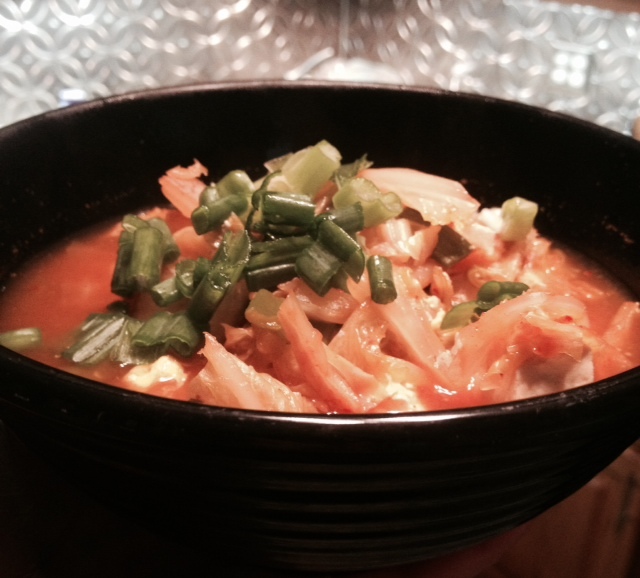 Or if you like kimchi and have five minutes, you can make this soup. Happy winterspringtime, everyone! Chop your kimchi into bite-sized pieces. You may eat as much as you want as you chop. Watch your fingers. 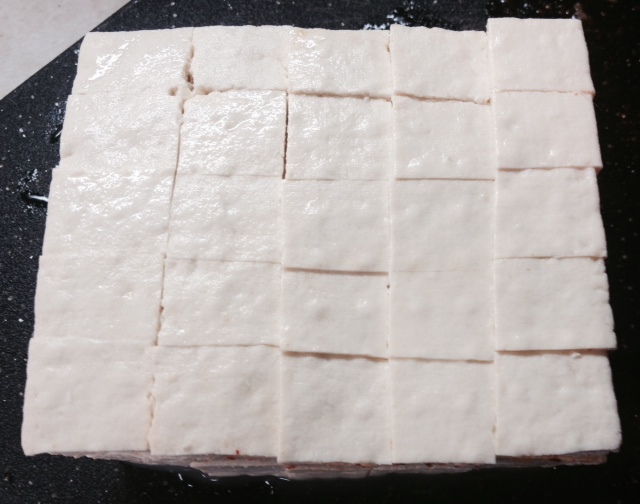 Dice the tofu block. It’s really fun. 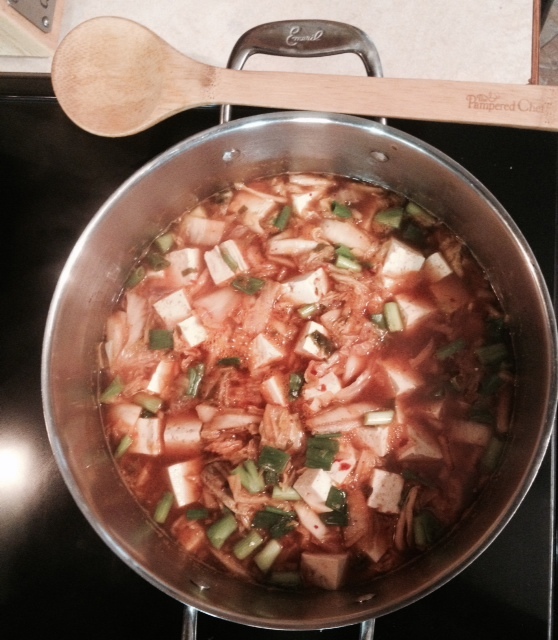 Mix the kimchi and vinegar and add to a large stockpot. Add the water, cooking base, tamari or soy sauce, sesame oil, chili paste, and half the scallions. 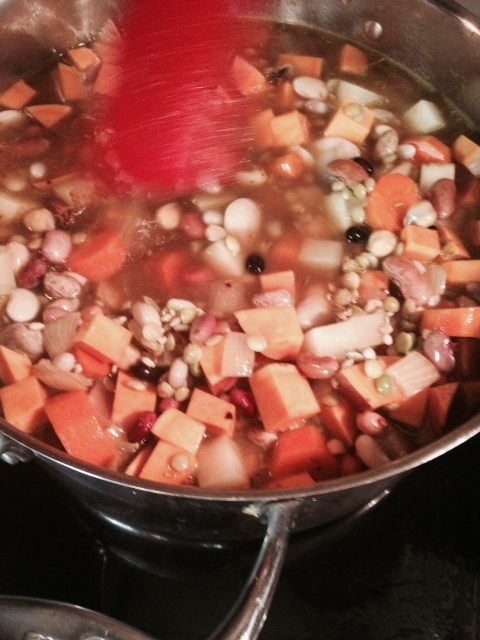 Stir this together, then gently stir in the tofu blocks and bring the soup to a boil. If you’d like, crack a few eggs into the boiling soup and cook until the whites are opaque. 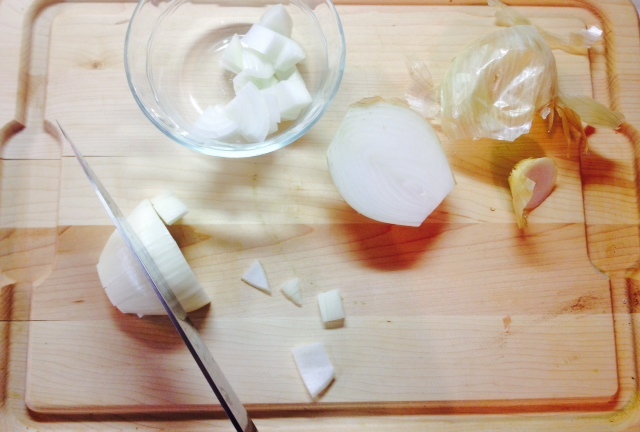 If not, serve and top bowls with remaining fresh scallions, passing sesame oil around. 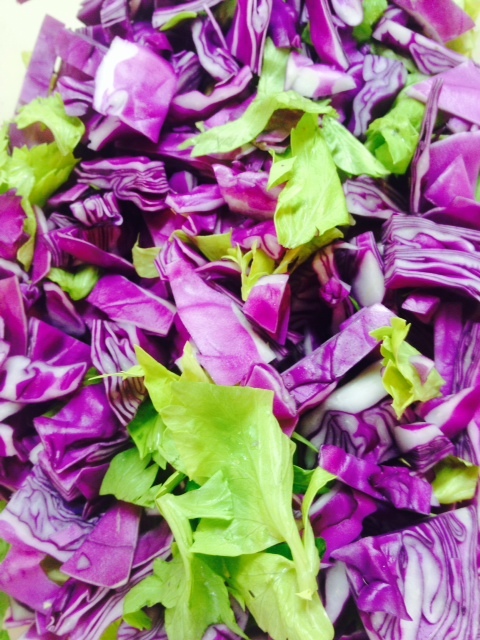 So very tasty and so, so good for you. The change of seasons must be triggering my cravings. I don’t know what it is about summer-to-fall, but the transition puts me into cooking and Pinterest overdrive! 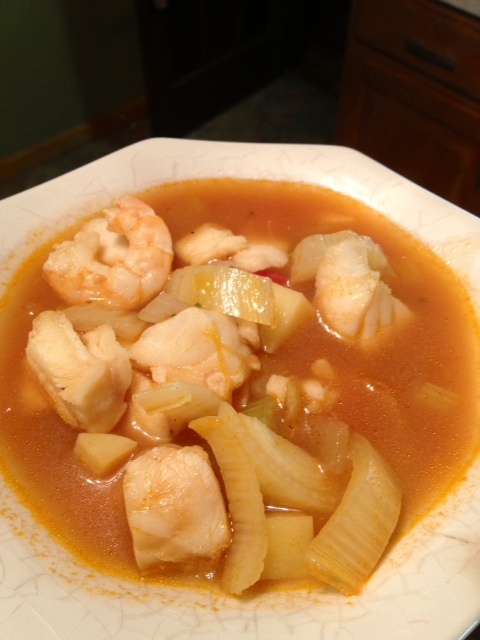 Two nights ago, I stopped at the grocery store on a mission: TO MAKE FISH SOUP. I had to have fish soup! 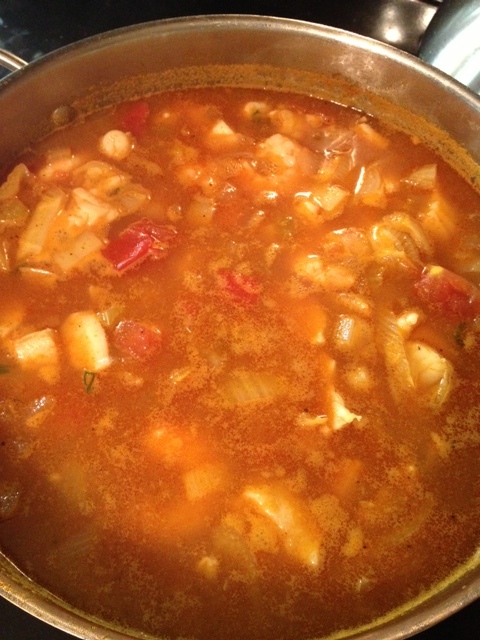 A warming yet light, garlicky, fresh and fragrant tomato-based fish soup. IMMEDIATELY. The drive was so intense that I completely neglected to pick up the other items on my grocery list! 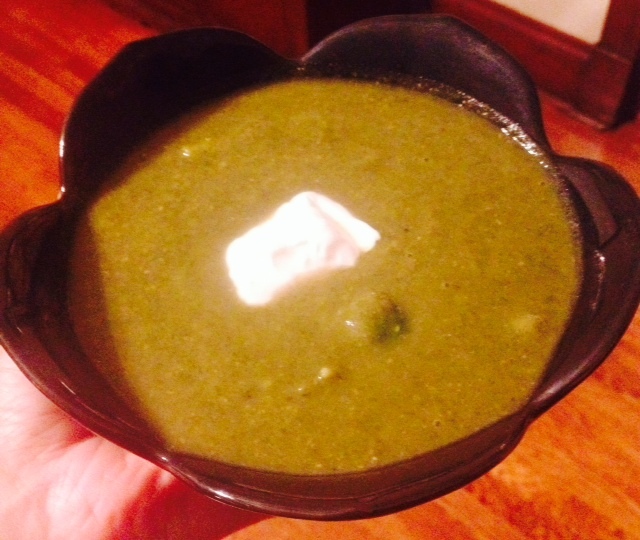 The soupy cravings I had were a perfect compass to a healthy and sustaining meal. We tend to eat large portions, and this recipe fed Dave and me for three meals straight. Please, if you’re a fish lover, give it a shot! It’s a boulliabaise-y dream come true. Would be even more delectable with a crusty loaf of French bread, and shrimp could be left out for those avoiding shellfish. 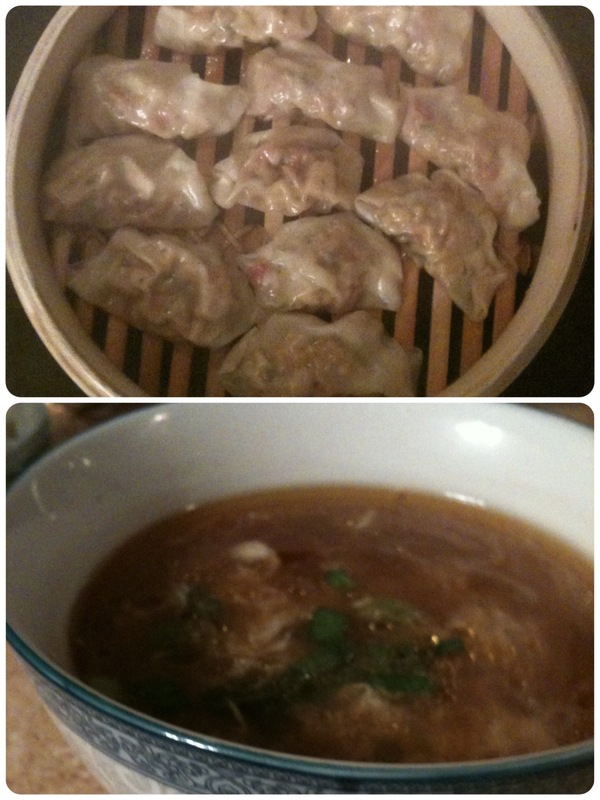 Bonus: I felt quite rustic and womanly while making it. Ha! Bon appétit! I love little fishes, don’t you? 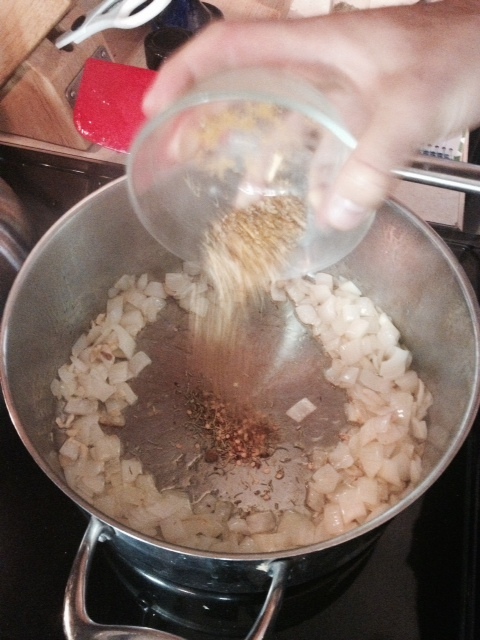 In a large stockpot, heat the olive oil over medium heat. 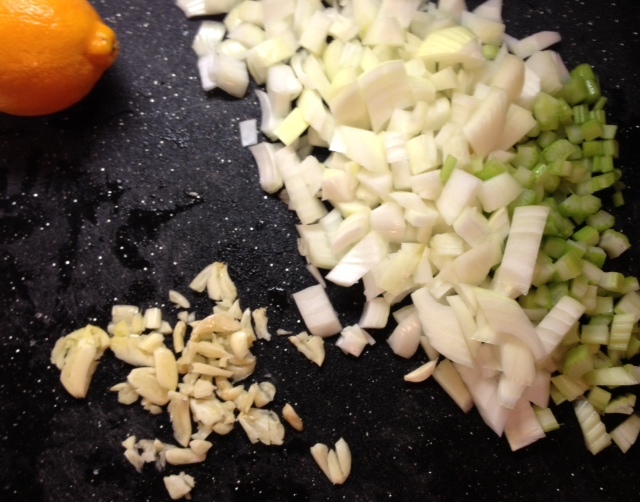 Add the onion, celery, and garlic, cooking until tender. Add the white wine, tomato paste, crushed red pepper, orange juice, clam juice, and vegetable broth. Cut a few inch-long strips off of the orange peel, and toss into the pot. Bring this stock to a boil and reduce by one-third. This took me about 10 minutes; feel free to taste-test to gauge your reduction time or cook at a lower heat if you’re blessed with this elusive “patience” I keep hearing about. Sounds interesting. I haven’t had time to check it out. 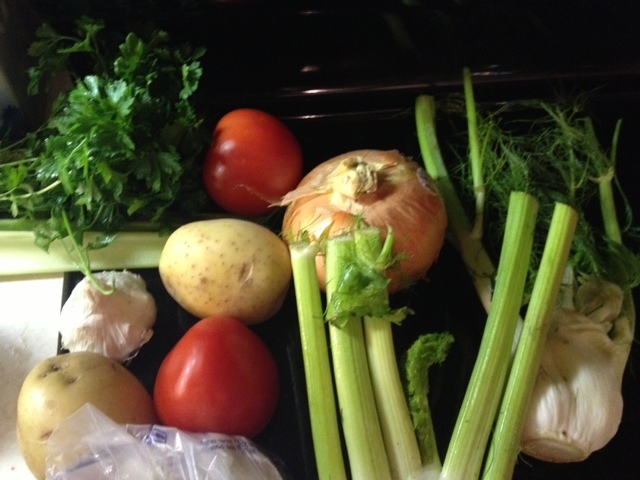 While the stock is reducing, finish chopping your tomato, fennel, and potatoes. 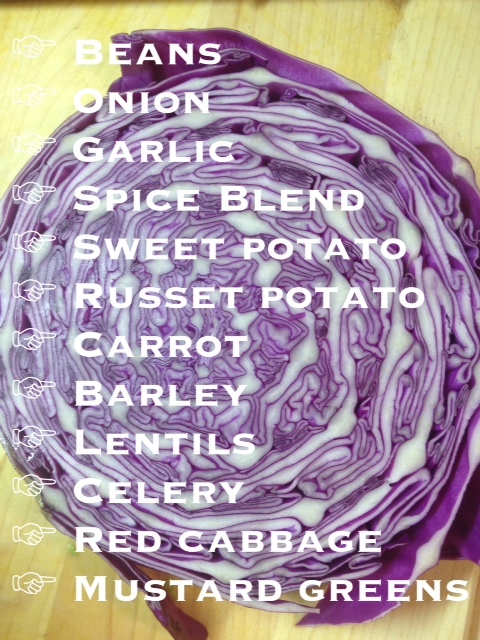 Add these veggies when the stock has reduced, and cook at a simmer, uncovered, for 15 additional minutes. Salt and pepper your fish and cut into chunks. When the potatoes and fennel have cooked for 15 minutes, add the fish chunks, shrimp, and parsley. Cook for 5 minutes at medium heat, stirring to make sure the fish is well-immersed in the hot broth. Do a taste test and add salt and pepper, if you like (I added lotsa black pepper). 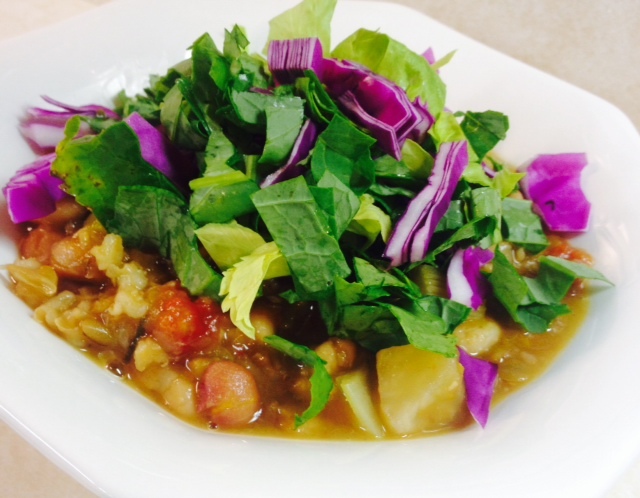 Ladle into bowls and enjoy! And enjoy again! Growing up, Oscar night was always very exciting. My Mom would let my sisters and me stay up to watch the show, and we’d ooh and ahh over the actresses’ dresses, and root for our favorite movies and directors to win. 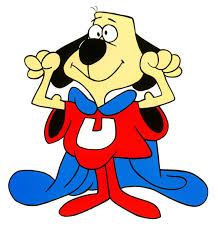 Know this: I am no less excited now by the big show than I was back then. I don’t think I’ve missed a broadcast since those days. It’s my Superbowl. For the past three or four years, I’ve had a lot of fun trying to see as many of the best picture nominees on the big screen as possible. This is, of course, more difficult now that there are NINE, but trying to keep up with what’s still out in theaters (often movies are re-released before the Academy Awards) is a blast- I see a lot of movies I may not have chosen to otherwise (ahem, Moneyball).